On the 6th of June Supremebeing are getting together with the Topman General Store in Shoreditch, London to host a live art jam! 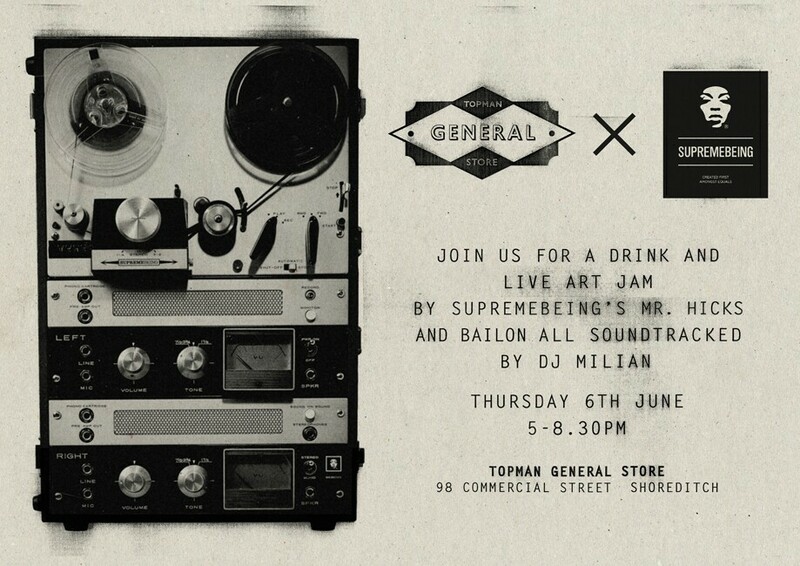 SS13 is the first season in which Supremebeing is available from the East End store and this event is a celebration of that. So join them for a drink, enjoy some art by the talented Mr Hicks and Bailon, all of which is soundtracked by DJ Milian.